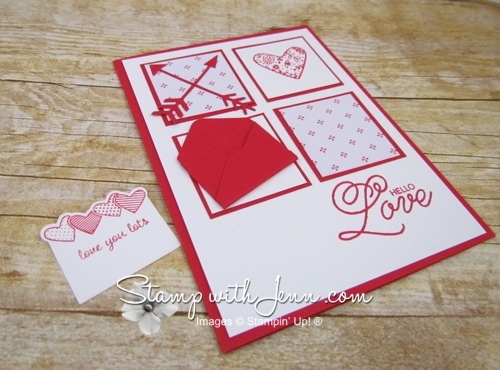 I’m loving the Sealed with Love stamp set in the Stampin’ Up! Occasions Catalogue. I got this cute little collage card from Jessica Hall in a recent demonstrator card swap. 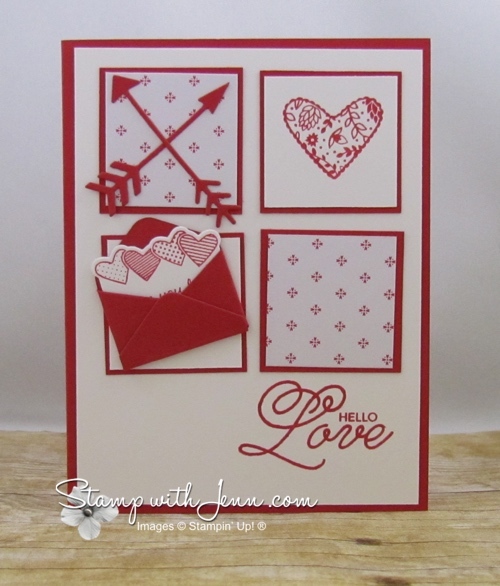 She used the Love Notes framelits to make the adorable little envelope and love note on the front of the card. How sweet is this little element? And also on this card is the pretty Sending Love Designer Series Paper Stack. It the same paper I used on the little Note Cards in this post here. I’ll have more Love Notes all the rest of the week on my blog at www.stampwithjenn.com.